Standard asset allocation and portfolio diversification testing is designed to mitigate risk factors from the broader market environment. 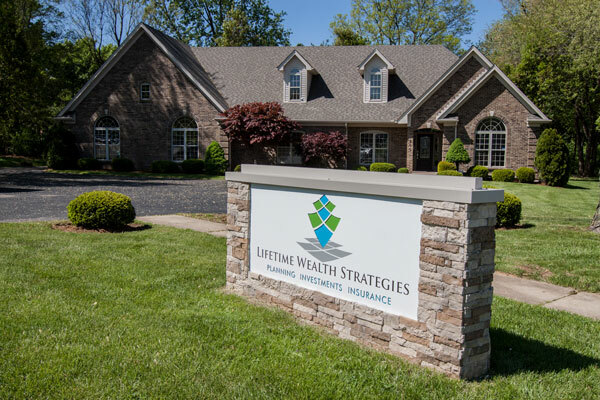 In addition to analyzing your complete financial picture through these lenses, we focus on what’s most important to you and customize your investments to align with your values. Sustainable investing focuses on investing in companies with the best long-term prospects by identifying companies which meet high standards for corporate responsibility and conscientious business practices in areas of Environmental, Social, and Governance. 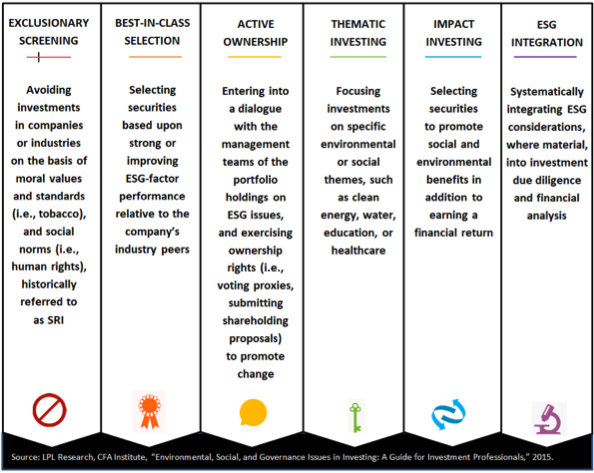 By incorporating ESG factor analysis when choosing investments, investors actively encourage companies to improve their ESG scores. This may result in better corporate governance, greater regulatory compliance and other positives, creating self-perpetuating benefits and a sustainable portfolio which actively avoids companies based on morals and values criteria not addressed in standard asset allocation and diversification analysis. Governance practices or how a company manages itself: including executive compensation, internal business controls, and the rights granted to shareholders. Increased awareness that ESG factors have a positive impact on performance is driving growth in ESG investment. Changing social norms, demographics, and political polarization in the country is leading investors to want to see their social views represented in their portfolios. Millennials consistently express greater desire for some sort of sustainable investing solution. 90% of the studies conducted showed that sound sustainability standards can lower a company’s cost of capital, allowing these companies to grow with lower costs and greater potential shareholder returns. 88% of the research showed that solid ESG practices result in better operational performance. 80% of the studies showed that good ESG practices positively influence a company’s stock price. One proxy commonly used to measure the performance of sustainable companies is the MSCI KLD 400 Social Index. This index is comprised of firms in the U.S. with the highest ESG factor ratings relative to their industry peers, and it completely excludes companies in the alcohol, gambling, tobacco, weapons, and adult entertainment industries. Over the past 10 years, the MSCI KLD 400 Social Index has slightly outperformed the S&P 500 Index and has also done so with slightly lower volatility. This material has been prepared in part by LPL Research. Any economic forecasts set forth in the presentation may not develop as predicted and there can be guarantee that strategies promoted will be successful. SRI and ESG investing are subject to numerous risks; chief amongst these is that returns may be lower than when decisions are based solely on investment considerations. MSCI KLD 400 Social Index is a capitalization weighted index of 400 U.S. securities that provides exposure to companies with outstanding environmental, social, and governance (ESG) ratings and excludes companies whose products have negative social or environmental impacts. The parent index is MSCI USA IMI, an equity index of large, mid and small cap companies. The Index is designed for investors seeking a diversified benchmark comprised of companies with strong sustainability profiles while avoiding companies incompatible with values screens.